Terri Halligan joined Lincoln Financial Group in February 1999. Terri has held various support roles during her 18 years of working for Lincoln Financial. She is currently part of the Lockwood Retirement Consulting Team and works as an Administrative Assistant to Michael Lockwood. Terri provides the Lockwood Team new business support in retirement plans, individual investments and life insurance. 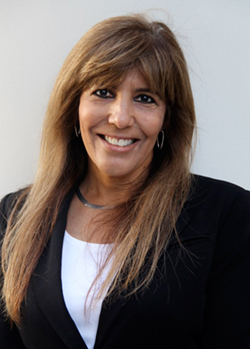 Terri holds a CA Life Insurance License and is a Notary Public for the State of California. Terri lives in Buena Park, California with her husband, Bruce, and their two sons, Kenny and Casey. Her hobbies include motorcycle riding, music, running and cycling. She also enjoys spending time with her family and two Labrador Retrievers.